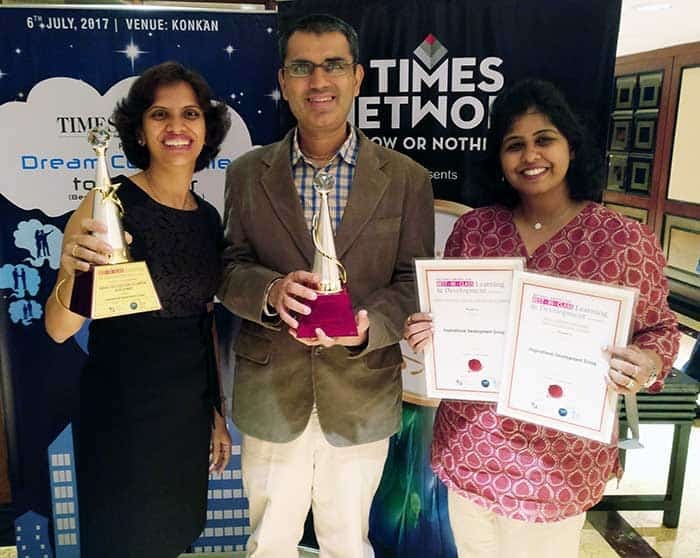 IDG is delighted to announce that our leadership and cultural development programmes being run in India and China have won more prestigious awards at the World HR Congress, India Human Capital Summit taking place in Mumbai. Activate, a programme developed for and in collaboration with HSBC, was awarded the “Best Leadership Development Award for Middle Management” and FUSION, also developed for HSBC and which has now been running for 10 years globally, won the prize for the “Best Behavioural Change Programme”. Both programmes were designed specifically for the client to improve their business performance by developing leadership skills in high potential individuals. A bespoke range of insights and approaches are used to develop the individual’s understanding of the psychology of leadership, in order to provide a skillset that can deliver measurable and sustainable improvements in the organisation as a whole. This is the 11th award given to IDG programmes. Other recent awards include ‘Training Initiative of the Year’ at the Construction News Awards, ‘The Most Effective Cultural Transformation Initiative’ at The Financial World’s Innovation Awards, ‘Judge’s Star Performer’ at the Food Manufacturing Excellence Awards, and ‘Best Leadership Development Programme’ at the European Leadership Awards.